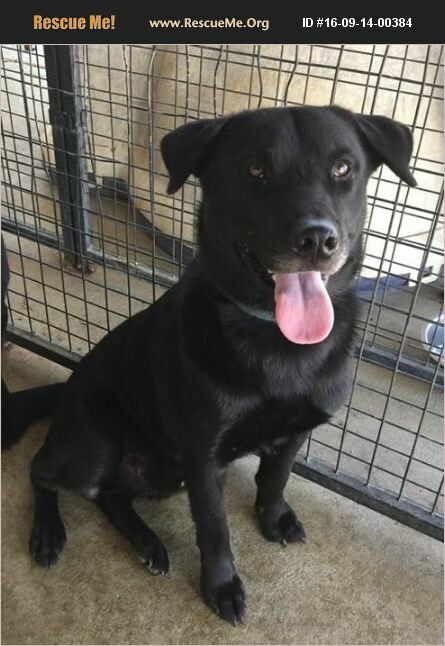 Hawkeye is a male lab mix found as a stray on Nashville Highway in Chapel Hill. He is very friendly and outgoing and has gotten much better since his neuter. He will still go at a male dog but he loves to play and romp with the females. High energy and a barker! Came in with the female black lab Tar Heel so he may be related to her but they are not bonded so can be adopted separately. He needs room to run and a family to help him spend alot of that energy! Very smart and highly food and treat motivated, this guy has alot of potential. ANIMAL ID: 244 SHELTER NAME: HAWKEYE Weight: 57.2 lbs Condition on Intake: GOOD DOB: 11-9-15 Gender: MALE ALTERED ADOPTION FEE: $75 Breed:LABRADOR/SHEPHERD MIX Color: BLACK AND WHITE Intake Date: 9-4-16 Microchip: YES Collar: YES Color: Blue Added by staff: NO Intake Type: STRAY Date Available: 9-12-16 Road Found: NASHVILLE HIGHWAY CHAPEL HILL County Illness/Injury:NONE Good With Adults: YES Good With Kids: YES BUT WILL KNOCK A SMALL CHILD DOWN WITH HIS ENERGY AND JUMPING Good With Other Dogs: YES BUT ONLY FEMALES NO MALES Good With Cats: NO - KILLED CHICKENS PRIOR TO INTAKE SO WE ARE STATING NO CAT HOME Housebroken: NO Energy Level: HIGH Can be handled/touched: YES ALL OVER Barker: YES Escape Artist: NO Food Aggressive: NO Food Type: BOTH Heartworm Status: NEGATIVE Allergies: NONE Walks on Leash: YES Lewisburg Animal Shelter 300 Woodside Lewisburg TN 37091 931-359-5948 Adoptions/rescue inquiries 931-359-7215 Strays/welfare checks/nuisance dog calls for ACOs susan.ragsdale@lewisburgtn.gov Follow us on facebook under Lewisburg Animal Shelter Volunteers to see more candid photos of the dogs in our photo Albums. The current adoption fee is $75 which includes the dogs spay or neuter and Rabies vaccination at a local vet, and covers the distemper/parvo vaccine and bordetella vaccine and dewormings it receives here at our shelter. No dog will leave the shelter to an adopter without being vetted first. By TN state law stray dogs are held for 3 days so they can be found by their owners before being put up for adoption or rescue. A dog found as a stray wearing a collar is held for 5 days before it is put up for adoption or rescue. Our shelter is a first come first adopt/rescue facility.There are no holds placed on dogs for potential adopters/rescue, however if a party is interested in a particular dog before it becomes available they may send an inquiry to susan.ragsdale@lewisburgtn.gov and those inquiries will be kept track of in order of received once dog becomes available. Adopters/rescues will be notified what order they are in in regards to each dog. They are available at 8am on the day they are available. Non vetted dogs will have an appointment scheduled and will be available for pickup for adoption the day after their surgery. Approved rescues may pull a dog and have vetted at their own expense once available to the public.